Provost Peter Lennie, and President Joel Seligman. 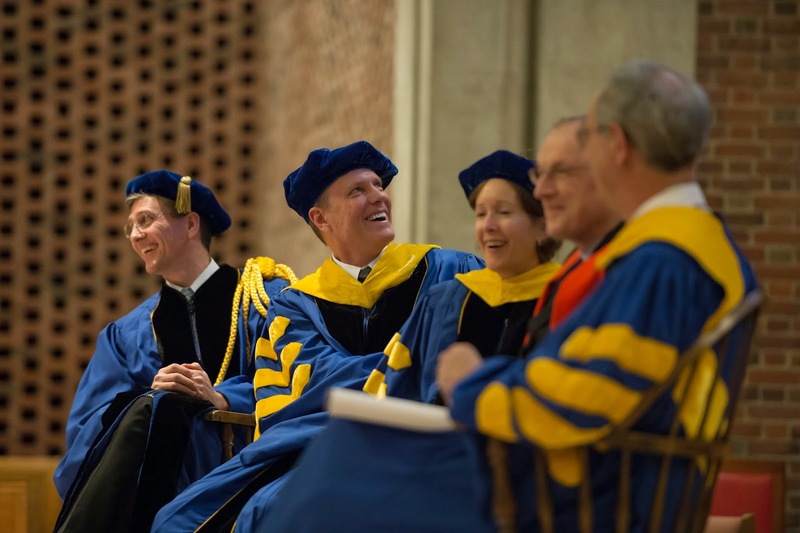 On February 3, 2015, Andrew Ainslie was formally installed as the seventh dean of Simon Business School. At the Investiture Ceremony held at the University of Rochester Interfaith Chapel, President Joel Seligman presented Ainslie with a Dean’s Medal, recognizing his leadership of the School. Unfortunately, winter weather kept two speakers away; however, Senior Associate Dean Ron Goettler read comments from Michael P. Ryan ’81, ’84S (MBA), chief investment strategist, Wealth Management Americas, and head of Wealth Management Research Americas, UBS AG. Ainslie’s colleague and friend Peter E. Rossi, the James Collins professor of marketing, statistics, and economics at UCLA Anderson School of Management, addressed the audience on video from the Detroit Airport. research interests are in applied microeconomic theory and organizational economics, and he is particularly interested in models of decision-making in organizations and organizational structures. Rantakari holds a BSc in Economics from the London School of Economics and a PhD in Economics from MIT. The Simon Games online scholarship competition got underway on February 15, 2015. The top 20 scorers will return to the campus on April 25, 2015, for the final round of competition, where they will vie for full- and partial-tuition scholarships to the Part-Time or Executive MBA programs. James E. Glassman, managing director, JPMorgan Chase & Co., and head economist/commercial bank, presented his outlook for the US and New York State economy during the 36th annual Economic Seminar on January 15, 2015, in Rochester. Glassman said 2015 is shaping up to be a year of growth for the US economy. Aspiring student entrepreneurs presented their business models to a panel of judges during the eighth annual Mark Ain Business Model Competition. Twenty-one teams competed in this exciting challenge that rewards students for innovative ideas and smart business planning. The University of Rochester Center for Entrepreneurship is introducing the Tibetan Innovation Challenge, a new intercollegiate social entrepreneurship business plan competition to improve the lives of Tibetan refugees. The goal is to develop self-sustaining and replicable business ideas to alleviate the economic difficulties the refugees are facing. During the first phase of competition, teams of undergraduate and graduate students will develop practical business ideas for Tibetan refugees to implement in their communities. Each participating school will host internal or virtual qualifying competitions by May 31, 2015, based on University of Rochester Center for Entrepreneurship guidelines. Finalists and alternate teams selected in early June will advance to the National Finals on July 9–10, 2015, in New York City. High profile Tibetans and supporters of the cause will serve as judges and select the winning business plan. Criteria for business plans include business potential and feasibility; financial, social, and environmental sustainability; scalability or opportunity to grow the business; social value and impact; and likelihood of success. All business plans in the finals will become the foundations of new Tibetan business ventures. The first place team will win a cash prize and have the opportunity to travel to India to meet the people who will implement their business plan. “The competition affords students the opportunity to engage Tibetans, their culture, and societal issues surrounding being a refugee,” says Michael Wohl ’89, competition originator and associate director of social entrepreneurship. “It not only encourages creative and entrepreneurial growth but fosters a deeper understanding and connection to humanity.” For more information, visit the Tibetan Innovation Challenge online. Deb Henretta, group president of Procter & Gamble’s Global Beauty division, delivered a Kalmbach Executive Lecture on October 2. Henretta spoke about her experiences working for the world’s largest advertiser, whose worldwide beauty business includes Olay, CoverGirl, Old Spice, Secret, Head & Shoulders, and Pantene. Will Reynolds ’10S (MBA) was one of 400 wounded soldiers to compete in the Invictus Games last September in London. An Iraq War veteran and former White House Fellow finalist, Reynolds was wounded during an ambush in northwest Baghdad. Now a senior consultant with Deloitte in Washington, DC, he won two bronze medals in two track events (100 meter and 200 meter) just three months after getting his first running prosthesis. Simon Business School faculty members shared their expertise while testifying before Congress last summer. bankruptcy law and the US national debt. On July 15, University of Rochester president emeritus and distinguished university professor Thomas Jackson appeared before the House Subcommittee on Regulatory Reform, Commercial and Antitrust Law to discuss the Financial Institution Bankruptcy Act of 2014. The bill concerns proposed adjustments to the Bankruptcy Code and the Dodd-Frank Act around how to resolve systemically important financial institutions under bankruptcy. In his testimony, Jackson wrote, “The Bill .?.?. effectively accomplishes all of the changes necessary to make the Bankruptcy Code a viable alternative to the proposed single point of entry procedure under Title II of the Dodd-Frank Act.” Prior to joining the University of Rochester, Jackson was a professor of law, specializing in bankruptcy, at schools of law at Stanford, Harvard, and vice president and provost at the University of Virginia. 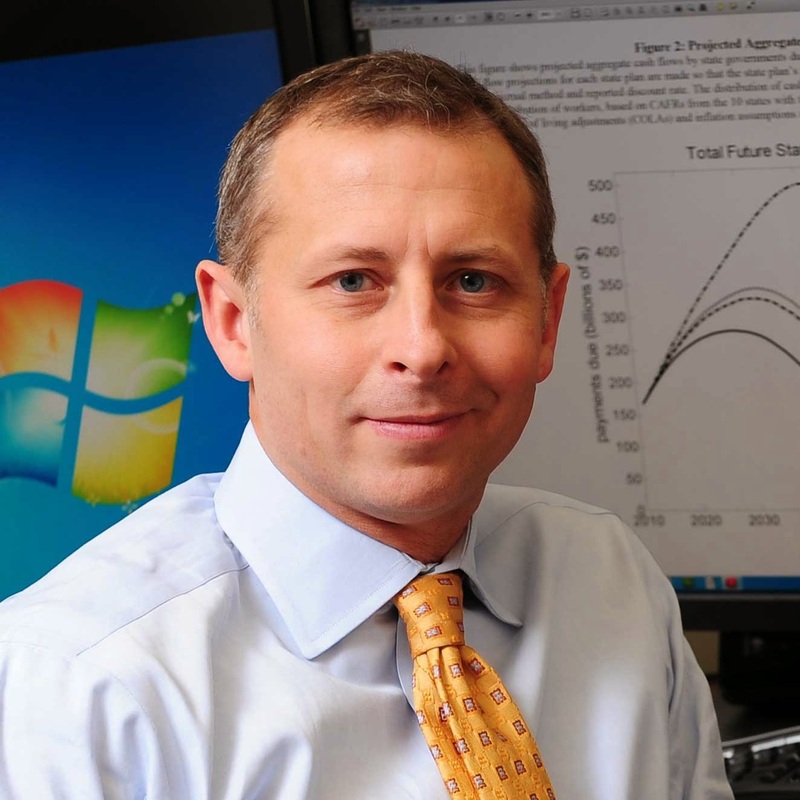 On July 24, David Primo, the Ani and Mark Gabrellian Professor and associate professor of political science and business administration, testified before the US House Judiciary Committee about constitutional solutions to the nation’s debt. Primo’s related op-ed piece, “In the Eye of the Debt Storm,” appeared in the July 21 issue of U.S. News & World Report. According to Primo, there are three ways to think about budget claims: understanding reducing the deficit does not reduce debt, short-run stability does not equal long-run sustainability, and beware the politician heralding “good” budget news. 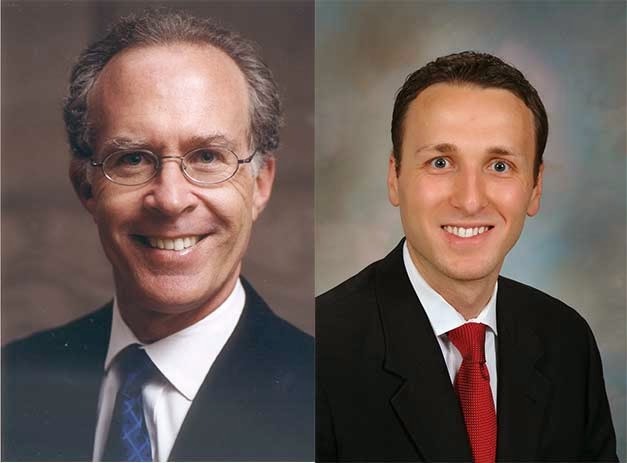 Three Simon Business School faculty members have earned national awards for their scholarship and research. 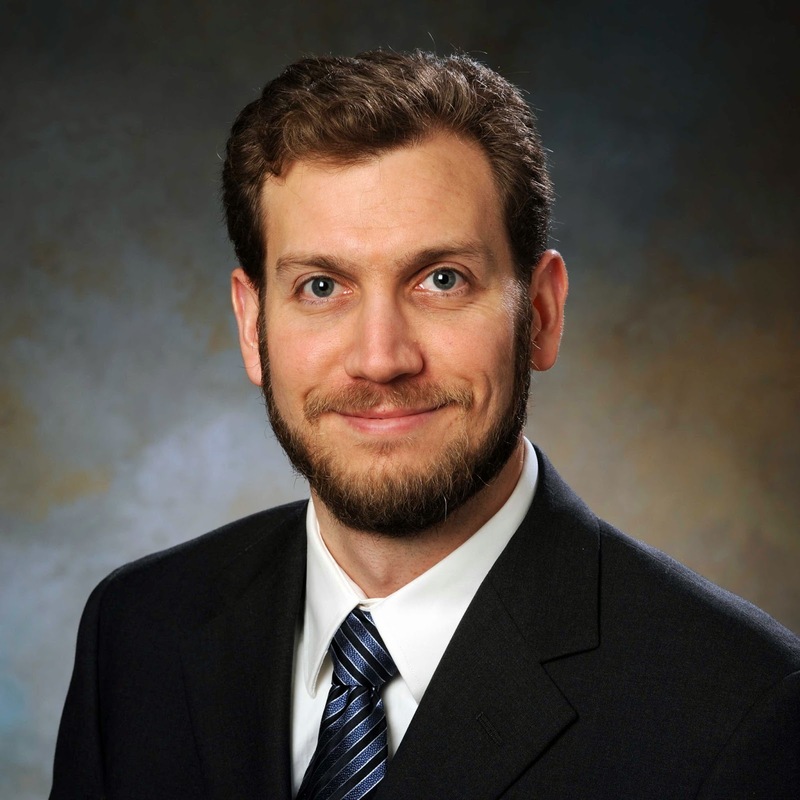 Associate professor of marketing Mitch Lovett has been named a Marketing Science Institute Young Scholar for 2015, which recognizes individuals who received their doctorate four to seven years previously, and whose work suggests they are potential leaders of the next generation of marketing academics. The Marketing Science Institute’s biennial Young Scholar program brings together some of the most promising scholars in marketing and closely related fields. Lovett’s research interests include quantitative marketing, targeted advertising, advertising content and schedule choices, online and offline word of mouth, branding, social media listening, and consumer learning. He shares the recognition with Dean Andrew Ainslie, who was a member of the inaugural class of MSI Young Scholars. For the second time, Robert Novy-Marx, the Lori and Alan S. Zekelman Professor of Business Administration, has won the 2014 Selected Research Prize from Whitebox Advisors for his 2013 paper, “The Other Side of Value: The Gross Profitability Premium.” The prize, which recognizes outstanding contributions to the art and science of investing, was awarded to Novy-Marx in 2012 for his 2011 paper, “Is Momentum Really Momentum?” A national expert on the government pensions crisis, Novy-Marx has testified before Congress and been widely quoted in The Wall Street Journal and U.S. News & World Report, among many others. 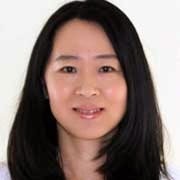 Joanna Wu, the Susanna and Evans Y. Lam Professor of Business Administration, and former Simon Business School faculty member Ed Owens won the Best Paper Award at the 2014 Review of Accounting Studies Annual Conference for their paper, “Quarter-End Repo Borrowing Dynamics and Bank Risk Opacity.” The study examines the extent to which banks’ quarter-end borrowings in the repurchase market deviate from their within-quarter levels, and the determinants of any such deviations. The co-authors found that quarter-end repo liabilities are materially lower than within-quarter averages for a large fraction of sample banks across the bank-size spectrum. Review of Accounting Studies (RAST) is one of the top five journals in accounting. Simon Business School is again listed among the best business schools in the world, according to recent media rankings. In its March 2015 release, U.S. News & World Report ranked Simon 12th for finance, up two spots from last year, and tied at 37th overall. Simon’s placement success was demonstrated in our at-graduation placement of 79 percent, which ranked us 20th overall. The three-months post-graduation placement numbers were even better at 95 percent, which put us tied for 12th among all ranked schools. Bloomberg Businessweek ranked Simon 38th among the 85 US schools listed in the survey, up 12 spots from the 2012 ranking. Simon also ranked 3rd among private business schools and 13th overall for return on investment. Data from the 2014 and 2012 surveys were used to compile the rankings instead of the prior practice of creating a weighted average based on data from the past three surveys. Simon moved up eight spots to 34th among US business schools and improved 20 spots globally in The Economist “Which MBA?” ranking of the top 100 full-time MBA programs. The Economist surveys thousands of MBA students each year about why they decided to enroll in a full-time MBA program. The Financial Times also released results of its annual survey of pre-experience Master of Science in Finance (MSF) programs in June. Simon ranked 7th among the US schools in the survey, and 37th globally. at the annual awards luncheon. 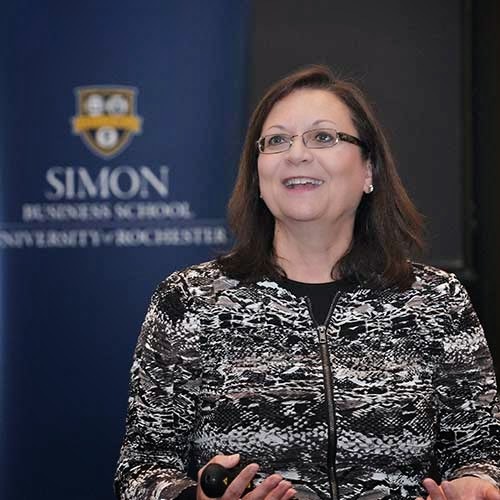 Dean Andrew Ainslie presented Simon Business School alumni awards at the annual Meliora Weekend dinner on October 18, 2014. Steven W. Berglund ’77S (MBA) received the Distinguished Alumnus Award for “exceptional professional achievements, contributions to the chosen field, and service to the Simon Business School.” Berglund is president and CEO of Trimble Navigation, which designs and distributes positioning products and applications enabled by global positioning system (GPS), optical, laser, and wireless communications technology. He is also president of Geoline, a subsidiary of Trimble Navigation involved in transportation equipment and supplies. Danielle N. Beyer ’05, ’06S (MBA) was presented with the Alumni Service Award for “outstanding and extraordinary service, leadership, loyalty, and commitment” to the School. Beyer is managing director and head of investor relations at Mariner Investment Group, LLC. Specializing in alternative asset management, the firm manages more than $11 billion in assets and employs more than 170 professionals globally. 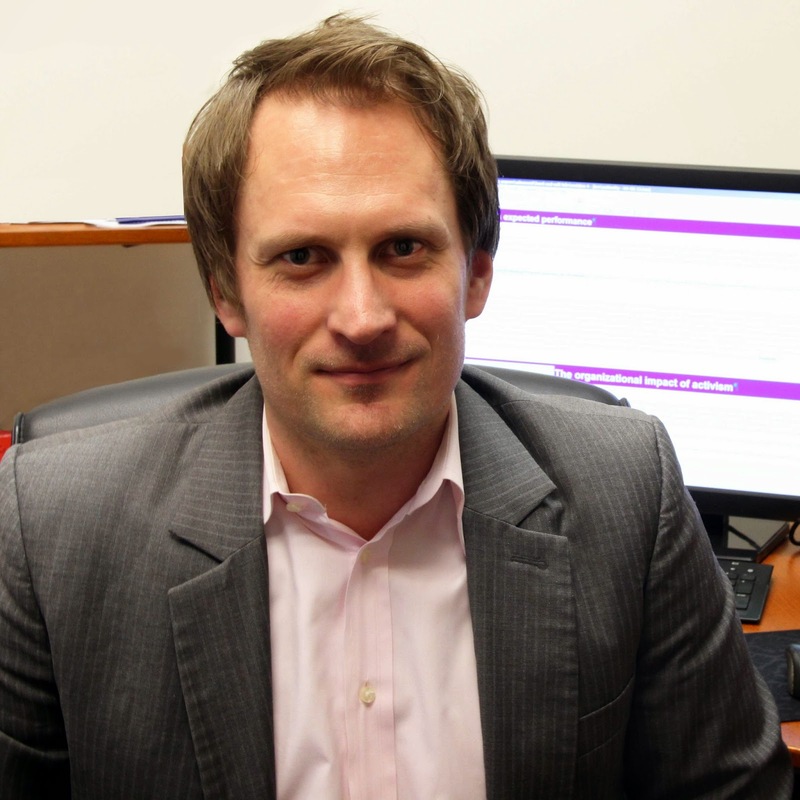 Beyer has led the Simon Business School Alumni Network of New York City since 2008. James N. Doyle Jr. accepted the John N. Wilder Award, honoring an individual, family, association, corporation, or foundation whose philanthropy inspires others in support of an “Ever Better” University of Rochester. The award is named for the first president (chairman) of the University Board of Trustees. Doyle is the executive director and founding member of ProVenture (Far East) Ltd., one of the leading worldwide providers of beauty-care instruments. 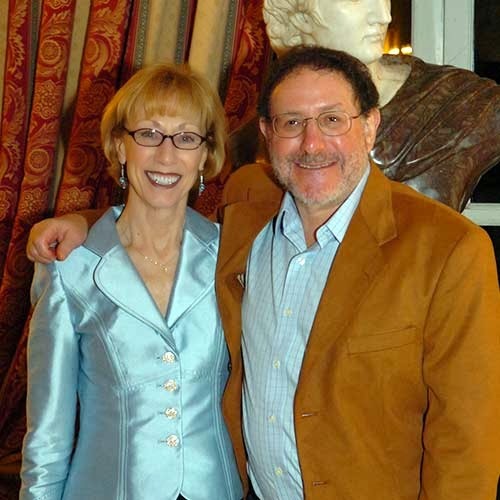 The son of a retired Simon Business School faculty member, he established the James N. Doyle Sr. Professorship in Entrepreneurship to honor his father’s commitment to entrepreneurship education at Simon. In 2012, Ronald Goettler was installed as the inaugural Doyle Professor. Meena Singh ’85S (MBA) received the Alumni Service Award for her “extraordinary service, leadership, loyalty, and commitment” to the School. Singh is CEO of BRISC-CARR Group, a Canadian social enterprise she co-founded to build employable skills among underprivileged youth in India. She has consulted with more than 80 organizations in India and Canada, in both the for-profit and not-for-profit sectors, in strategy development, facilitating transformation and change, and assessment and development of people. An active alumna, she has served on the Simon Alumni Council since 2009 and fostered its presence in both Toronto and Mumbai; in addition, she was integral in facilitating a $1.5 million commitment from the Wadhawan family, leaders of a multibillion-dollar retail, real estate, and hospitality conglomerate across India. The gift was the first of its kind from an Indian family to a top-tier US business school. 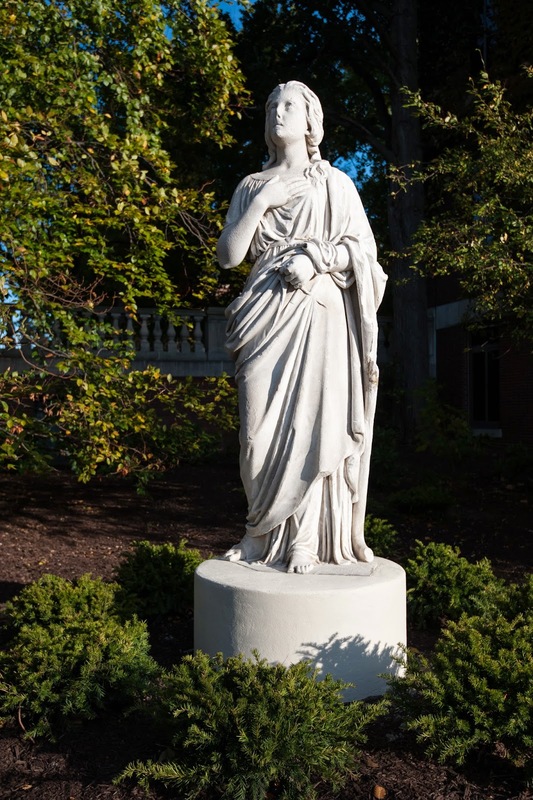 The nearly 140-year-old statue depicting Commerce, one of the “muse” statues from the original University of Rochester campus on Prince Street, is finally back home. For 23 years, the statue stayed in the backyard of former University English professor James Carley, who saved the piece from being destroyed. Now installed in the Florescue-von Manstein Plaza, the statue stands in tribute to the study of business and commerce. 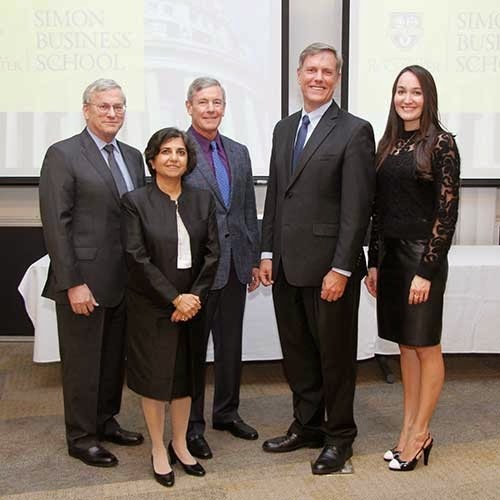 Simon Business School’s Early Leaders Case Competition was held on November 7–8, 2014. The competition brings together current students from various undergraduate institutions to compete in a business-case competition designed to simulate decisions faced by business leaders across the globe. 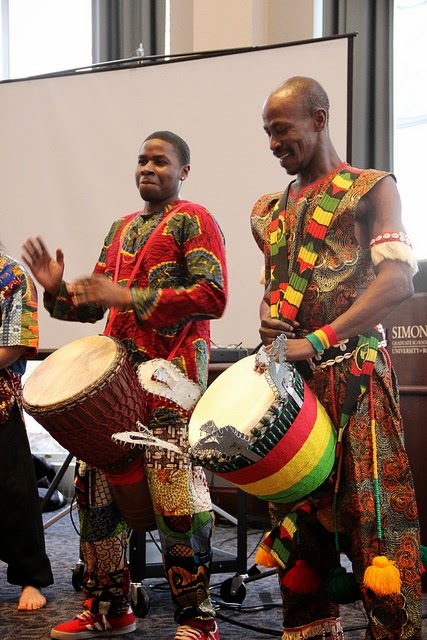 The Simon National Black MBA Association celebrated February as Black History Month with a special event that included poetry readings, dance, and the sound of authentic African drums. Simon National Black provides a forum for students who are interested in the issues concerning the economic advancement of people of color in the United States.